On Mar. 4, 2019, Chinese Consul and Head of Post to Laoag Zhou Youbin met with Hon. Ilocos Norte Vice Governor Eugenio Angelo Barba, Hon. Senior Board Member Marcos Monotoc, Hon. Board Member Donald Nicolas, Hon. Board Member Domingo Ambrocio Jr, Hon. Board Member Vicentito Lazo, Hon. Board Member Ramon Gaoat. 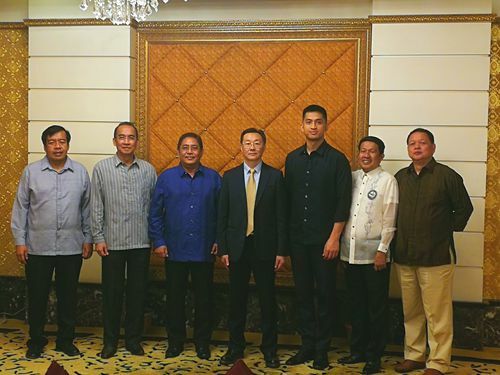 Both sides exchanged views on further cooperation in the fields of economy, trade, culture, tourism and others between Chinese provinces and Ilocos Norte.